Many Brexit-supporting lawmakers from May’s Conservative Party reject the deal, particularly a “backstop” requirement that Northern Ireland stay closely aligned to EU rules to avoid the return of a hard border with EU member Ireland. Dominic Raab, who resigned as May’s Brexit minister in November in protest at her plans, said the government should not lose its nerve over the possibility of a no-deal Brexit, something many employers fear would mean chaos for business. “It’s time for us, through this vote, to make clear not just that the current terms are unacceptable, but that we are not just throwing our hands up in the air,” he said. Germany’s foreign minister said the EU could hold new talks with Britain after a defeat in parliament of the plan May struck with other leaders of the bloc in November, but he ruled out significant changes to the agreement. May has refused to budge over her deal despite criticism from all quarters. The agreement, which envisages close economic ties with the EU, has united the opposing sides of the debate — pro-EU lawmakers who see it as the worst of all worlds and Brexit supporters who say it will make Britain a vassal state. May and EU leaders swapped assurances on the withdrawal deal on Monday, but there was little sign of a change of heart among rebel lawmakers. The EU told May that it stood by commitments to seek ways to avoid triggering the Irish “backstop”. That failed to reassure Northern Ireland’s Democratic Unionist Party, which props up May’s minority government and said it still rejects the deal. May has warned pro-Brexit lawmakers that if her plan is rejected no Brexit at all would be more likely than Britain leaving the EU without a deal. She has also warned her Conservative Party against allowing the left-wing opposition Labour Party to seize the initiative. Labour is formally committed to Brexit but opposes May’s deal. Polls of party activists show that most want the party to back a new referendum. 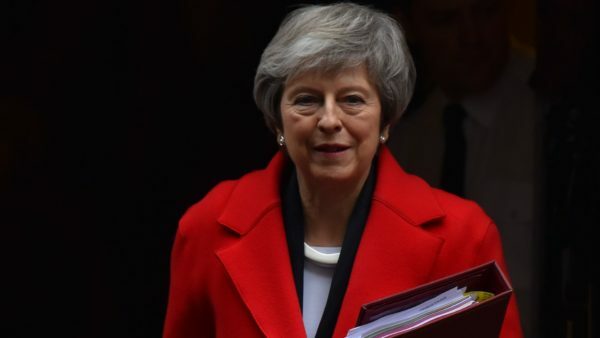 It has not done so, but has not ruled it out if May’s deal is voted down and she refuses to resign. Labour leader Jeremy Corbyn, hoping to force a national election, is expected to call for a parliamentary vote of no confidence in May if she loses Tuesday’s vote.